Day Four is here already! Still, fans continue to make their way through the Convention Center until the very end! The time spent at the Convention Center is the most special time of the entire week! Before Con even gets to the Center he has already put in some quality time with the fans! He had an awesome show at the Country Music Hall of Fame last night, and then this morning he performed a smokin' set on the Riverfront Stages right on the banks of the beautiful Tennessee River...Whew! After his set he rushed over to the GAC tent to tape a post-performance interview with his good friend Bill Cody! 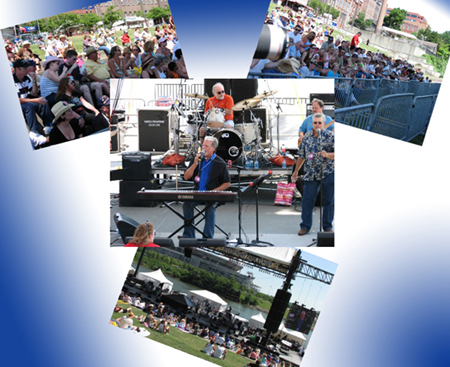 GAC was capturing all the action at the Riverfront for a special CMA-Fest 2008 series to broadcast later on the network. 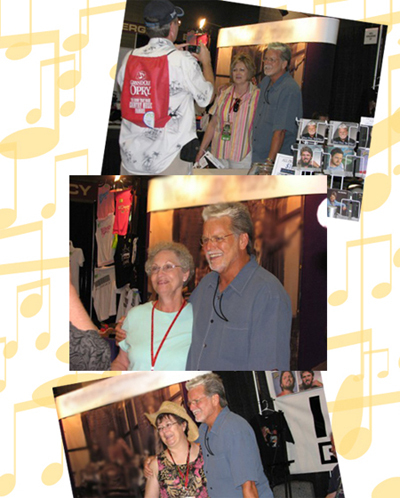 Be sure to check out Con's CMA-Fest 2008 Performance and Personal Appearance webpages to catch a glimpse of the action! 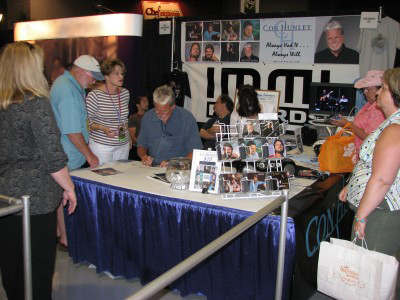 When Con arrives at his booth, fans are lined up to see him. Several of them saw his show last night at the Hall of Fame or this morning on the Riverfront, and came by to tell him in person how much they love his music! These ladies are all smiles as they catch a few final moments with Con. Smiles burst into laughter with these fans! The memories that all of us have made during these past few days will be cherished for years to come! As the announcement rings out over the loudspeaker, CMA-Fest has come to an end with thanks to the thousands of loyal fans who make this event a grand success year after year! Boxes will be packed, the booths will be dismantled, and everyone will soon be loaded up and headed for home. But the excitement and joys of this week will remain with us for days and weeks to come...and the magic...?? It will begin again this time next year...We sincerely hope to see you there!